Whether you're a seasoned home barista or you're just shopping for one, we've got you covered. All the home espresso gifts you need to upgrade your setup for the holidays. 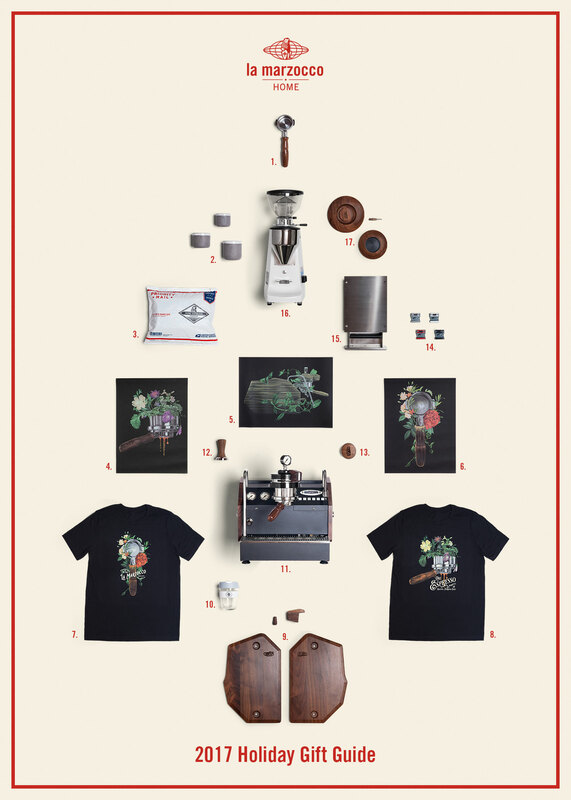 Get in the holiday spirit with new accessories and merch from La Marzocco Home. We’ve put together a list of some of our favorite espresso accessories and merch for the home barista. This year, we teamed up with our friends at Department of Brewology for an all-new set of t-shirts, prints, and pins designed specifically for the espresso enthusiast. Whether you’re a seasoned home barista or you’re just shopping for one, we’ve got you covered. Oh, and one more thing: if you’re hoping to upgrade your machine by the 25th, make sure to place your order by December 10th to make sure it arrives on time. Watch the art of your espresso extraction throughout the entire shot with this bottomless portafilter. Choose from standard black, maple, or walnut. Available in 4 oz., 6 oz., and 10 oz. 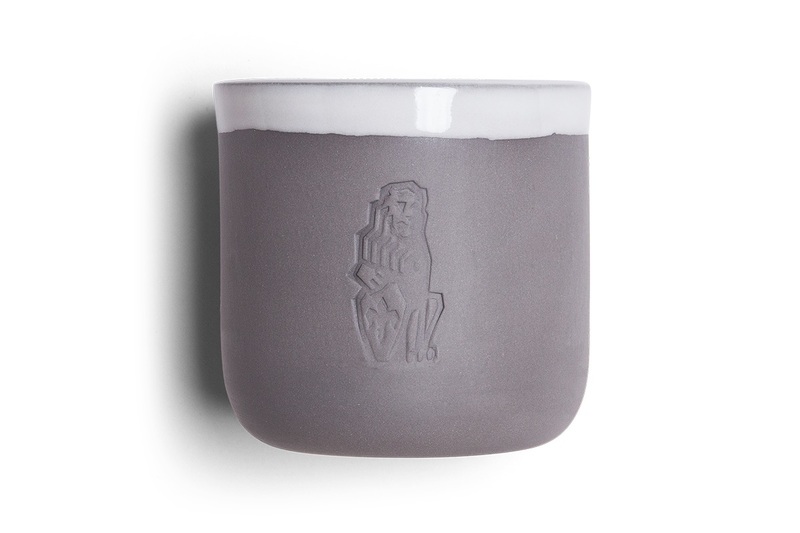 sizes, these handmade ceramics are the perfect vessels for espresso, cappuccinos, and americanos. A coffee subscription for the Home Barista. 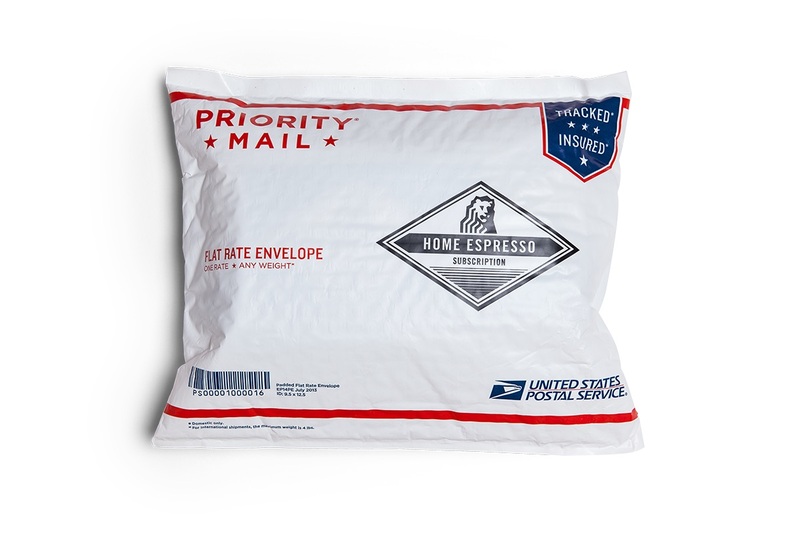 Each month, we’ll send you two bags of the very same espresso we use at La Marzocco Cafe in Seattle. Each month, we feature a different roaster or cafe from around the world and provide brewing recipes, tips & tricks, and educational content and experiments to try at home. There’s nothing like watching the perfect bottomless portafilter shot come together. This 18″ x 24″ Art of Espresso poster designed by Department of Brewology is a shoutout to the joy and art of making espresso. This GS3 MP print celebrates the machine upgrade that rounds out a home barista’s craft. 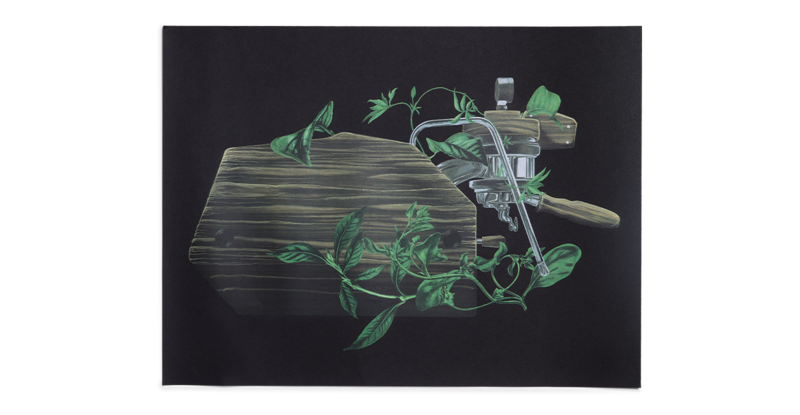 Designed by Department of Brewology and screen printed on Black Licorice French Paper, this poster is the perfect addition to any home barista’s collection. Oh, and what better way to celebrate than by hanging this poster up after receiving number 11 on this list? 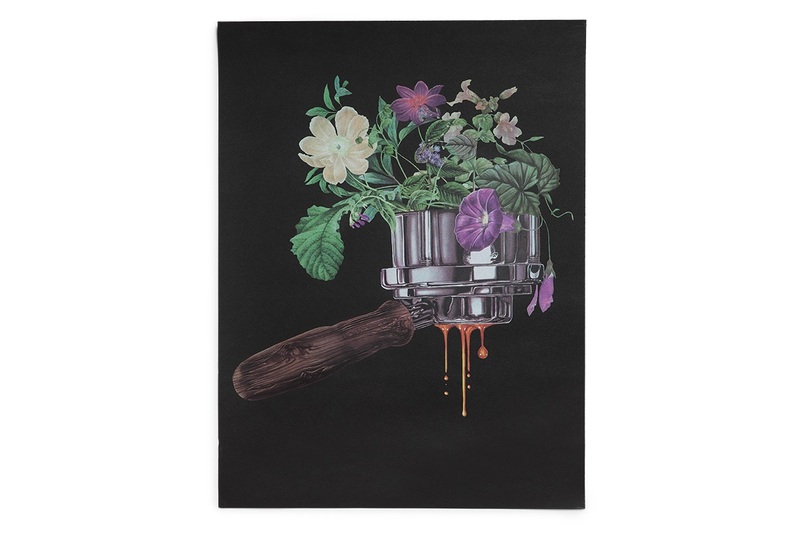 Show off your home barista pride with this La Marzocco Portafilter poster. 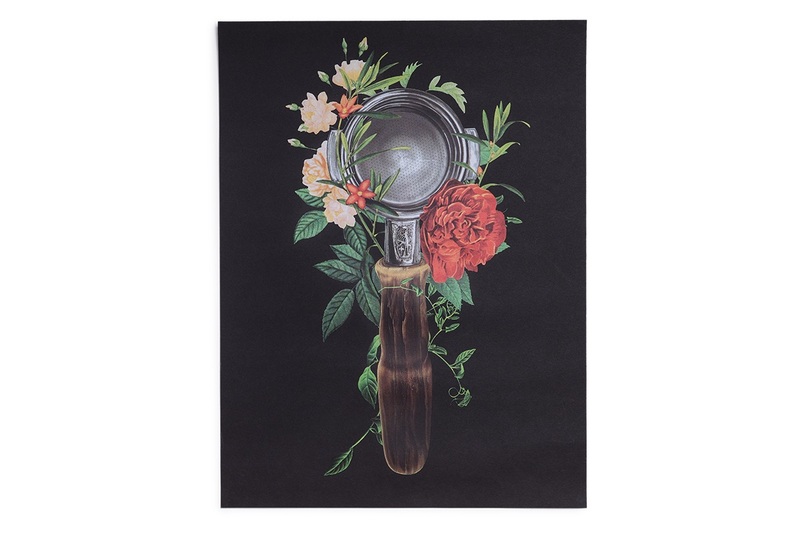 Designed by Department of Brewology, this Portafilter poster is the perfect way to sport your at-home espresso expertise. 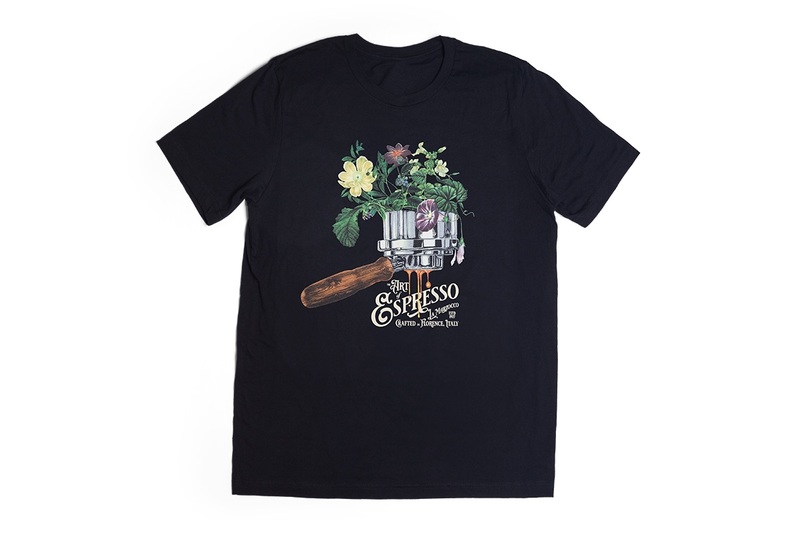 Wear your espresso enthusiasm with this La Marzocco Portafilter t-shirt. Designed by Department of Brewology for La Marzocco Home and screen-printed with precision, these Portafilter shirts are soft, comfortable, and *just* the right amount of espresso geek. Wearing this bottomless portafilter shirt is like doing a snow day dance, but instead of a blizzard, you get the perfect bottomless extraction. Designed by Department of Brewology and screen-printed with care, this shirt will be a Saturday morning favorite for years to come. Deck out your La Marzocco with a variety of custom accessories made just for La Marzocco by skilled craftspeople. 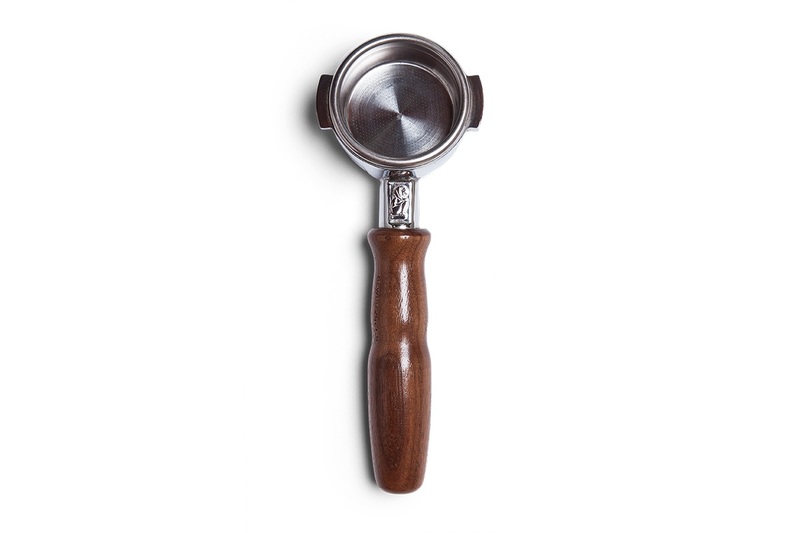 Choose from portafilter handles, side panels, steam knobs, paddles, group caps, and more. Take your favorite drinks on-the-go with the 12 oz. La Marzocco Cafe Keep Cup Brew. 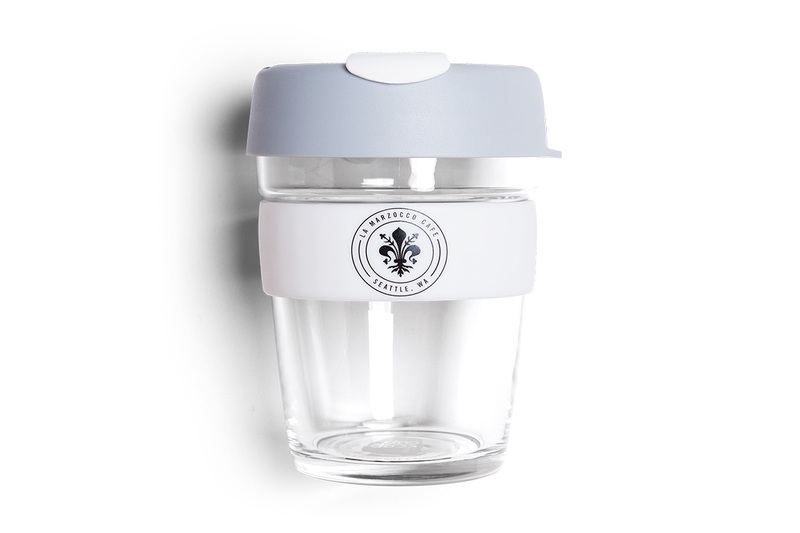 Our customized Keep Cup is designed to match the aesthetic of our Seattle Cafe with gray & white accents and the black Fleur-de-lis that adorns the cafe bar at La Marzocco Cafe. The ultimate home espresso machine upgrade for the ultimate home barista. 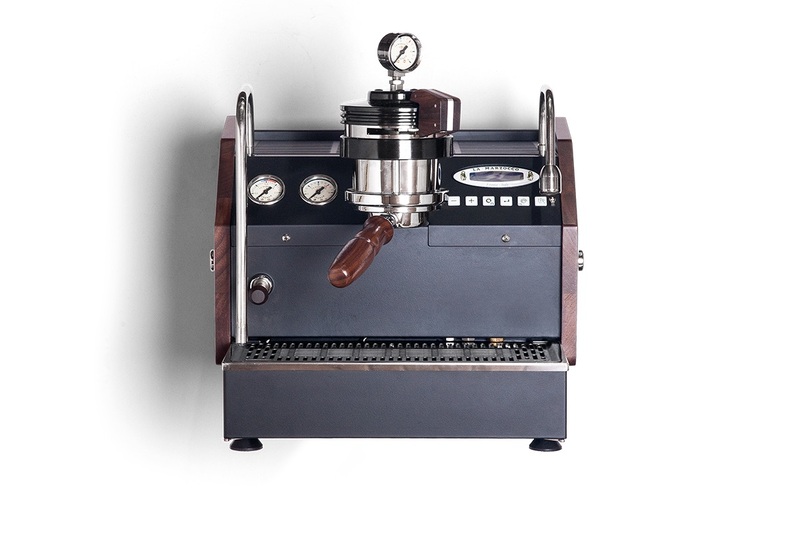 A truly professional espresso machine made for the home, the GS3 MP is a temperature stable dual-boiler machine with a built-in reservoir and high-powered steam that allows for complete pressure control throughout the entire shot. The GS3 MP is $400 off through the end of 2017. Tamp like a champ. 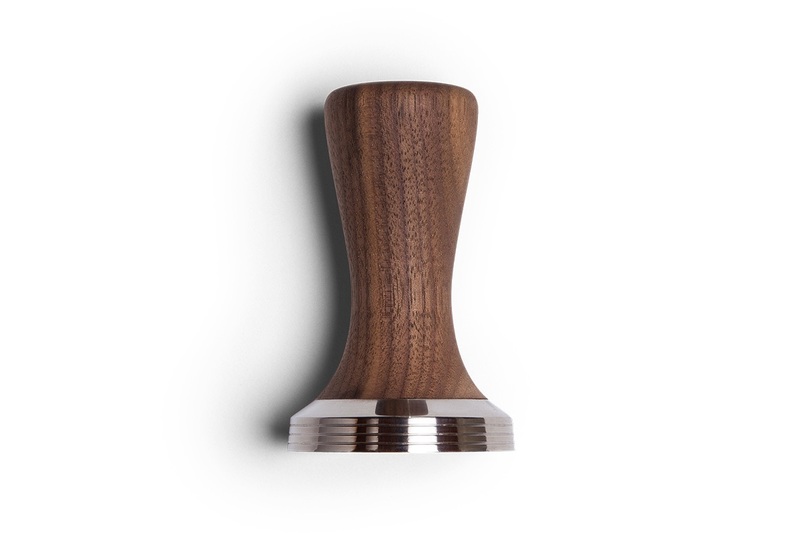 This 58.5 mm tamper from Saint Anthony Industries combines walnut and metal to form an ergonomic handle and flat base to tamp with, and is an instant upgrade to your station. Weiss! NSEW! Stockfleth! Wedge! Improve your distribution with this custom “Il Marzocco” engraved BT Wedge Coffee Distribution Tool. Saint Anthony Industries’ distribution tool helps improve quality and consistency of each espresso by distribution evenly throughout the portafilter. 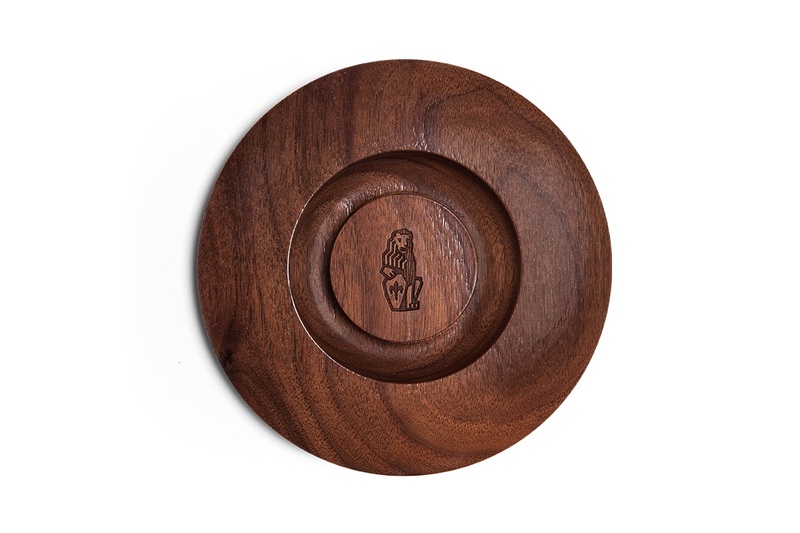 Made from precision machined stainless steel and inlaid with Walnut. 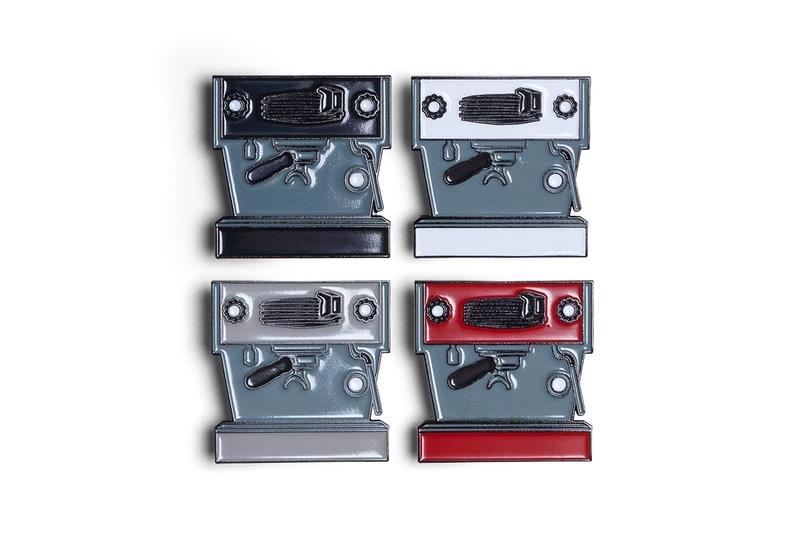 Show off your love of the Linea Mini with these Linea Mini pins designed by Department of Brewology. Pins are sold individually, or in a set—choose from red, white, black, and stainless. Each pin is 1.5 inch soft enamel with butterfly back clutch. This sleek stainless and walnut knockbox fits right under the grinder, much to the joy of anyone who values extra counter space. 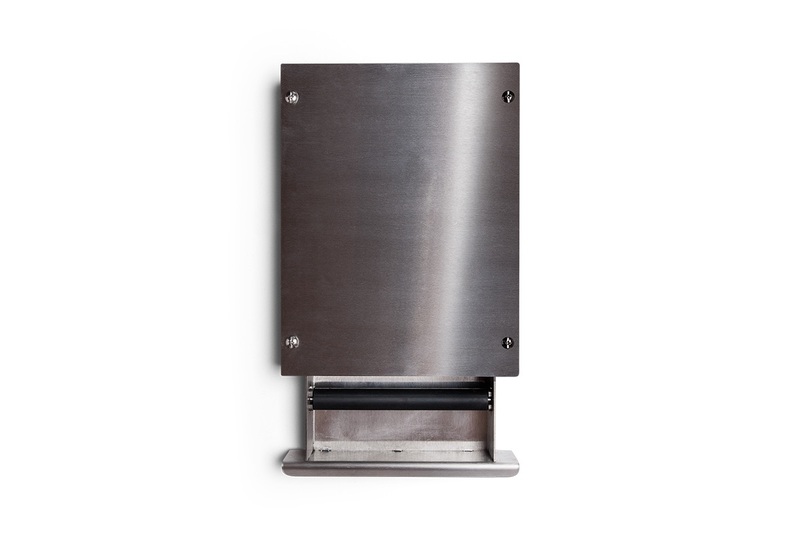 The Knockbox Slim helps keep your home barista workstation clean and tidy while also staying out of the way. 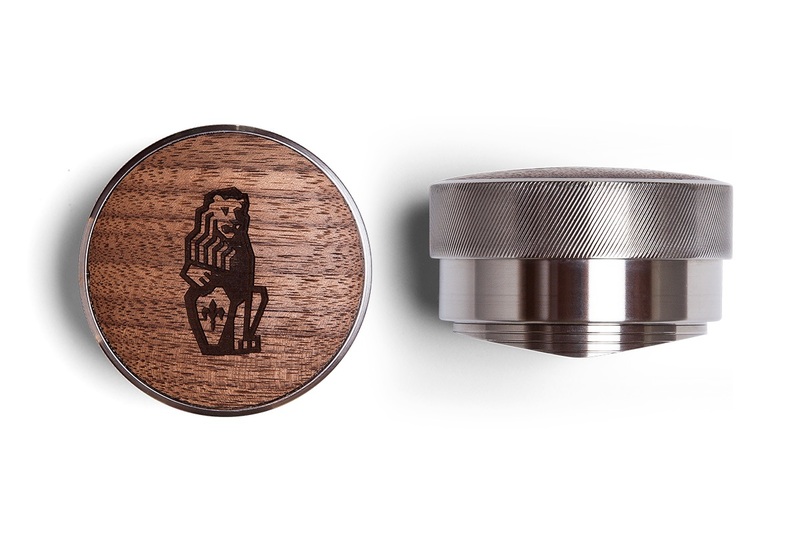 A trusted grinder to pair with your La Marzocco. 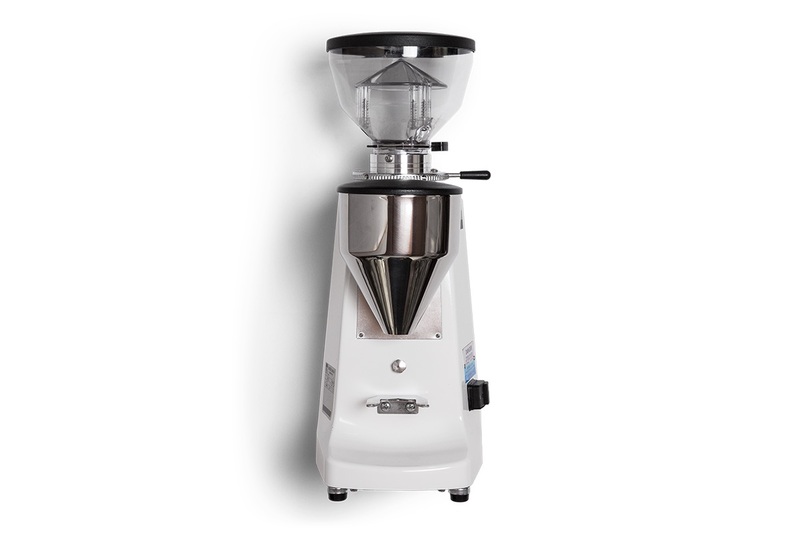 The Mazzer Lux-D is the perfect size for the home and features On Demand Dosing, 61 mm flat burrs for fast grind times and proper extraction, a standard short hopper, new static screen configuration and three finishes to choose from. Whatever you do, don’t skimp on your grinder. Customize your Mazzer Lux-D or Mini Doser Grinder with walnut accessories. 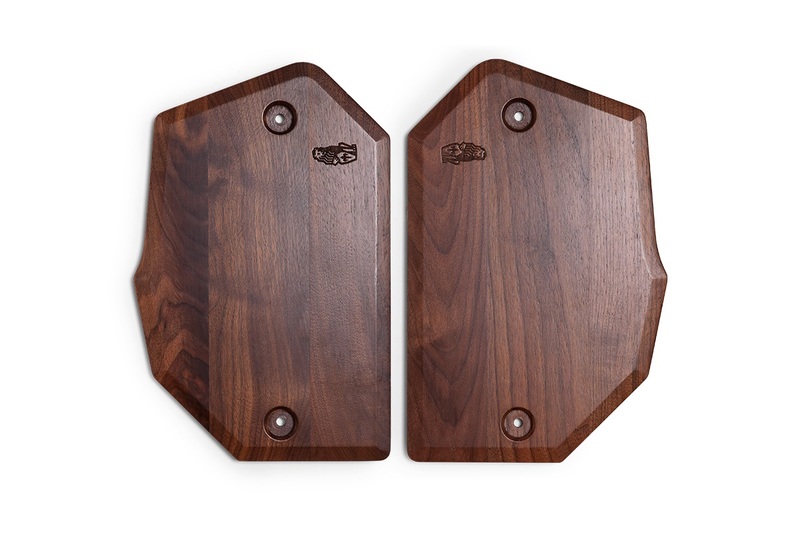 This custom set of walnut accessories comes with a hopper lid, doser cover with tamper stand, and grind collar peg and is a great way to improve the look and feel of your daily brew ritual. From all of us at La Marzocco Home, Happy Holidays! Questions? Reach out! Shoot us an email at home.usa@lamarzocco.com or drop a comment below.